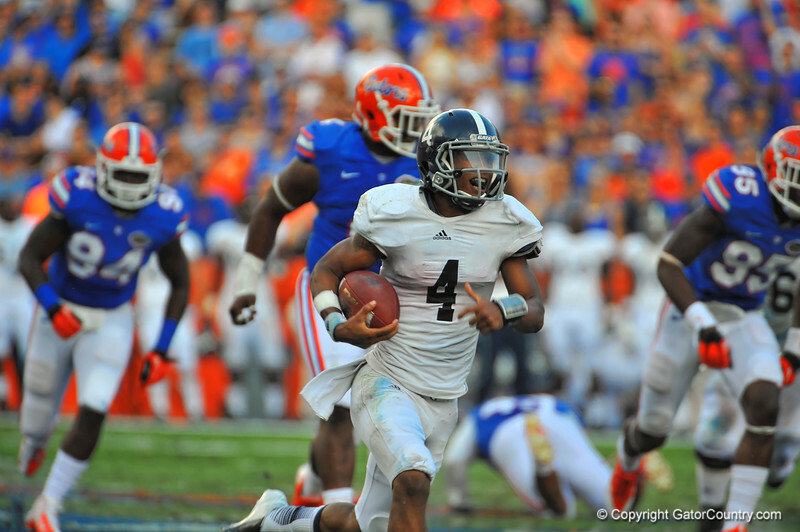 Georgia Southern QB Kevin Ellison keeps the ball and sprints around the outside past the Florida Gator defense and into the endzone in the second quarter. Florida Gators vs Georgia Southern Eagles. Gainesville, FL. November 23, 2013.